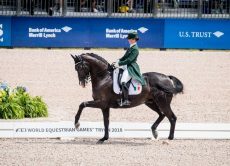 Irish Dressage rider Judy Reynolds has qualified for tomorrow’s (Friday) Grand Prix Special Final at the FEI World Equestrian Games at Tryon, North Carolina in the USA. Riding the Joe and Kathleen Reynolds-owned gelding Vancouver K, Judy produced a score of 71.957% in Wednesday’s first individual final and had to watch the remainder of the competitors today (Thursday) before getting confirmation that she was safely among the top 30 who go forward to the final. The first session of the Grand Prix Special final starts at 2pm Irish time, with the new World Championship medals decided by 10.30pm. The Irish Eventing team got their World Equestrian Games campaign underway today with Galway’s Cathal Daniels celebrating his 22nd birthday in style with an impressive performance. Riding Rioghan Rua (ISH), Daniels finished the Dressage phase with a score of 34.0 which puts them in 23rd place at the moment. Carlow’s Sam Watson was the first Irish rider into the arena and posted an score of 35.5 with Horseware Ardagh Highlight (ISH).and lie in 27th place. 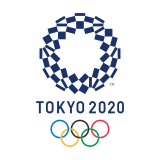 Irish Eventing team manager Sally Corscadden will see her remaining three riders – Padraig McCarthy, Sarah Ennis and Patricia Ryan, perform their Dressage tests today. 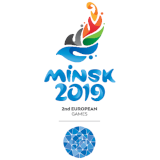 The Cross Country phase of the Eventing competition takes place on Saturday, with the Eventing medals decided following the Show Jumping phase on Sunday. Rodrigo Pessoa’s Irish Show Jumping team face their first round of competition at the World Equestrian Games on Wednesday.